Afreeca World - Invitational 32! 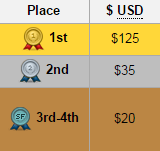 We're back thanks to AfreecaTVs & your support I'm happy to announce the thirty second AfreecaTV World Invitational! For this event on the Korean server the current champion FanTaSy can't attend so we'll be having a fresh roster! The first invite and new comer to Afreeca World Jin Air's Rogue the Korean Zerg. The opponent for Rogue will be his teammate Cure the RO16 GSL Terran. The next invited player is also a new face Splyce Stats the Korean Protoss. 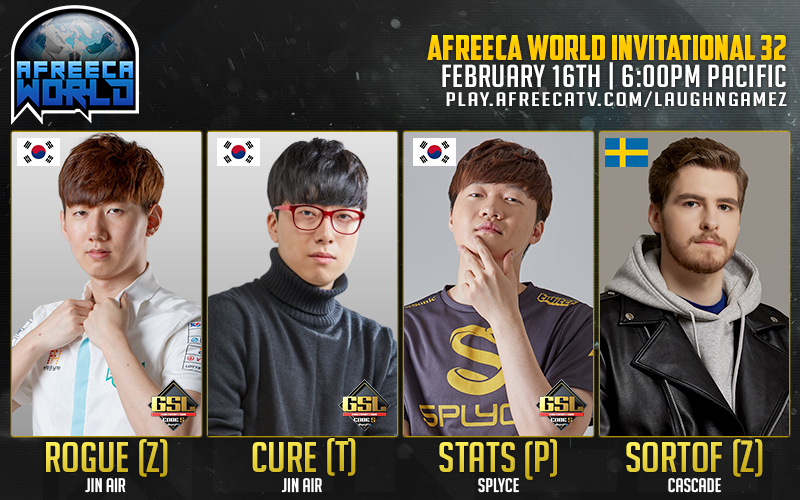 The opponent for Stats will be an Afreeca World frequent Cascade's SortOf the Swedish Zerg. Come out to support the 32nd Afreeca World! Rogue takes it 4-3 after Stats almost makes the reserve sweep! Fantastic event, as always working on my commentating. We'll try to one up the lineup next event!